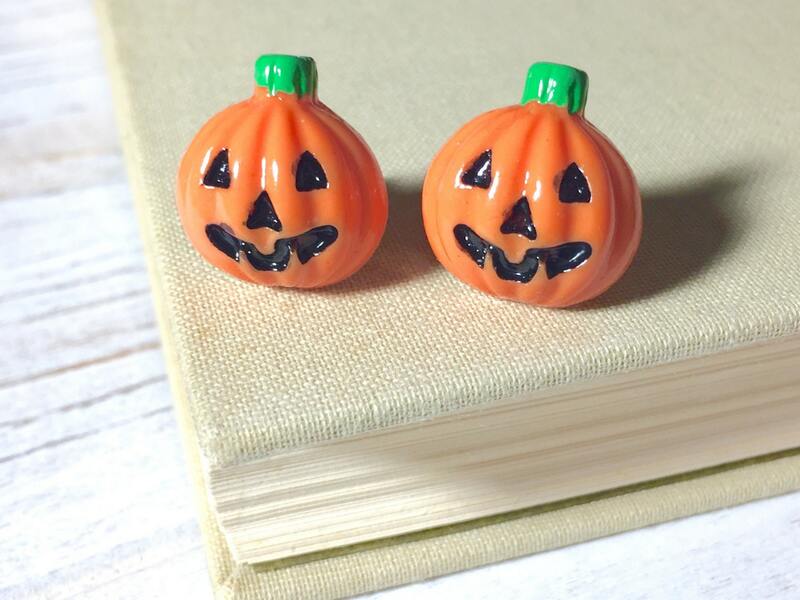 These pumpkins are so darling and just perfect for fall, autumn, halloween or any veggie loving time of the year :) The pumpkins are orange with black eyes, nose and mouth to look carved; detailed ribbing just like a pumpkin, topped with a quirky green stem. 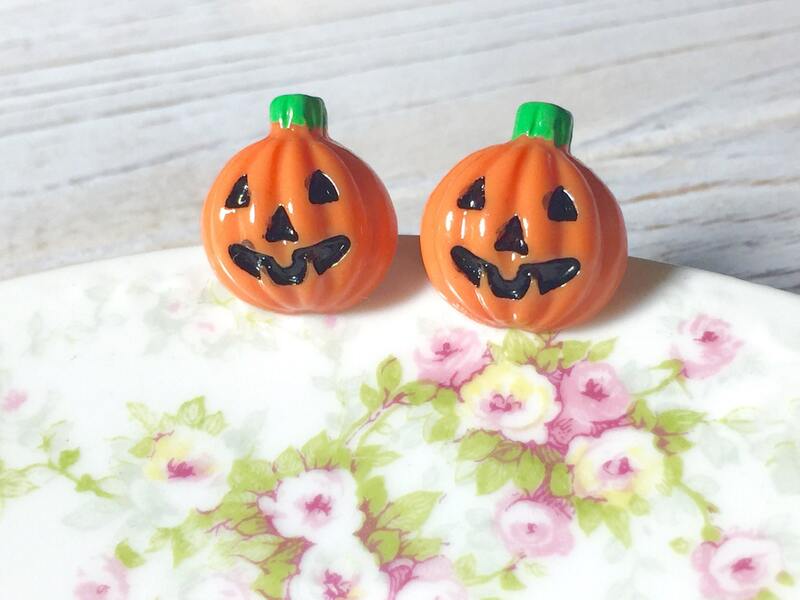 Best of all they puff out in the middle so they have a neat quirky chunkiness to them! 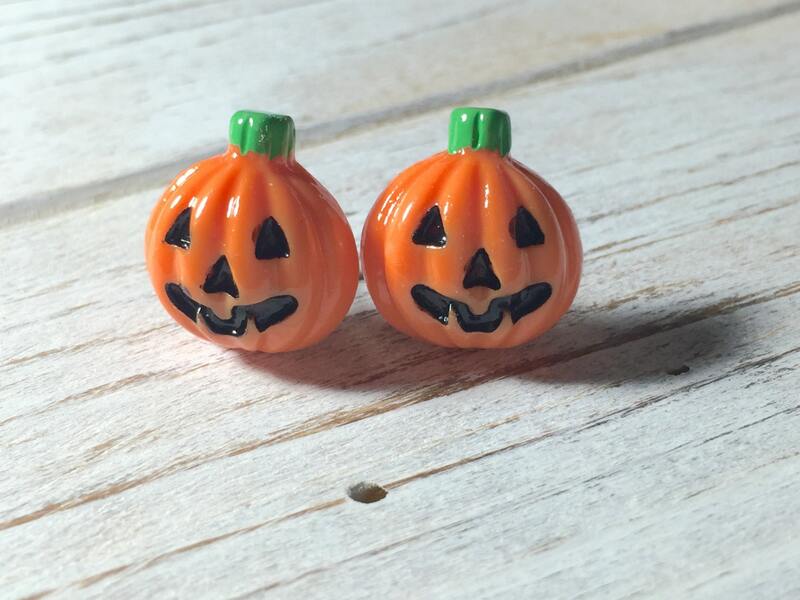 You are purchasing a pair of pumpkin stud earrings like those shown measuring about 5/8 inches (16mm) in diameter. 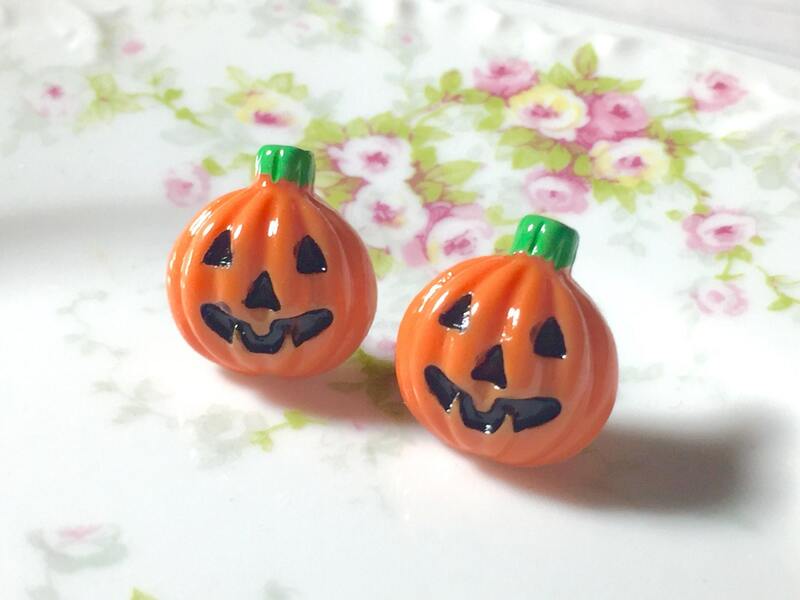 They puff up just over 1/4 inches (7mm) high in the center. 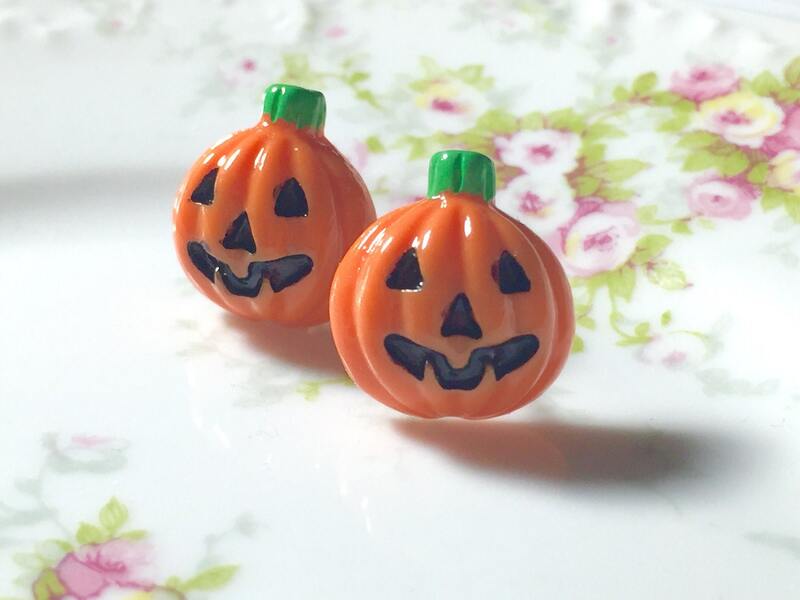 All stud earrings are MADE TO ORDER so please allow up to 72 hours for me to prepare your earrings for shipment.